≈ Comments Off on Have Christians lost the art of biblical discernment? Only the spiritual man (regenerate) possesses the knowledge of God’s will….because he has the mind of Christ. Henry calls to our attention that it is through reading the scriptures that the spiritual man receives the knowledge of His will. Some have mistakenly defined spiritual discernment as a God-given awareness of evil or good spiritual presences—the ability to tell if a demon is in the room. While some people may possess this capability, it is not the biblical meaning of discernment. Spiritual discernment ultimately has to do with wisdom and the ability to distinguish truth from error. 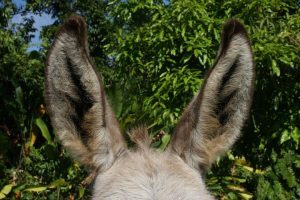 So – how do Christians grow in spiritual discernment? Two ways. By allowing the Holy Spirit to be their guiding light; likewise, thorough carefully studying the Bible. What should we do to determine if a person’s teaching is unbiblical? We are commanded to test what’s being taught. In fact, Paul urges believers to “test everything; hold fast what is good.” (1 Thessalonians 5:21) Likewise, John encourages us to “test the spirits to see whether they are from God.” How does one test a spirit? By reading the scriptures, in context, for that’s where Truth is found. Why is “testing” so important? “For many false prophets have gone out into the world.” (1 John 4:1) False prophets/teachers distort the truth….which is why the Bible refers to them as false teachers and wolves in sheep’s clothing. It’s no exaggeration to say that a large number of charlatans knowingly—and without a smidgeon of guilt–lie through their teeth. Admittedly, examining someone’s teaching is no easy task. But nowhere in Scripture are we told that it should be left to “professionals”; it is clearly our responsibility. We mustn’t ignore the fact that any teaching that fails to line up with what the scriptures say is not from God! And if the Bible’s not the source of his/her teaching, most likely its source is the “spiritual forces of evil in heavenly places.” Satan’s not called the father of lies because he’s a truth teller! Far too many Christians rely on the discernment of other believers, like those of us involved in online discernment ministries. It’s okay to learn from each other (iron sharpens iron) but, again, we must do as the Bereans did – test! Regrettably, when it comes to testing for errors, a growing number of professing Christians deserve a failing grade. Because so many people spend a huge amount of time on one form of technology or another, it’s easy to see why the views so many evangelicals hold are derived from TV preachers, radio/podcast personalities, best-selling books, popular bloggers and even social media. Many individuals who claim to be evangelicals search religious TV networks such as TBN, Daystar and God TV looking for a spiritual fix. Unbeknownst to them, they’re exposed to rank heresy taught by Word of Faith (WoF) teachers like Benny Hinn, Kenneth Copeland, Paula White, Joyce Meyer, Fred Price, Creflo Dollar as well as “life coach” Joel Osteen. If Christians would take the time to test those mentioned above, they’d discover that their teaching is decidedly unbiblical. The fact of the matter is that WoF is a theological cult. 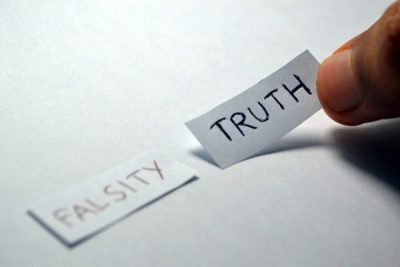 What often happens when this fact is pointed out to those who have bought into the teaching of these wolves is that they become defensive, even enraged, take aim and “shoot the messenger.” Sadly, many professing Christians prefer to hold onto their conspiracy theories, unbiblical philosophies and their distorted view of Scripture than spend time studying the Bible, in context. As the saying goes: Context, context, context! Why? For the reason that taking a verse out of its proper context leads to error. 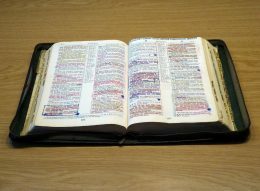 According to 2 Timothy 3:16, all Scripture is “God-breathed” which means that the words on the page are inspired by or come directly from God, not from the writers. We’re commanded to read, study, and understand God’s Word. But first we must pray and ask the Holy Spirit for guidance so that we are able to discern the things of God. (1 Corinthians 2:14) In John 16:13 we learn that the Spirit of truth guides us into all truth. Televangelists, who pretend to have a direct pipeline to God, prance around in front of the TV camera, claiming to hear a “word from the Lord.” At the risk of sounding divisive, most televangelists teach outright heresy (I can prove it), so why would God speak to them at all? Frauds should not expect to hear from God; they should expect to be rebuked by God. The Biblethumpingwingnut Network hosts Tim Hurd and Len Pettis, recently had Chris Rosebrough on their show to talk about the serious dangers in Evangelicalism. Specifically, addressing false teachers who preach themselves and what Chris Rosebrough thinks is the greatest threat to the church global today. ≈ Comments Off on Dear Church, it’s time to break up with Emo Jesus. We understand that the Jesus Hillsong, C3, Bethel, and other prominent churches promote promises you wealth and prosperity. They teach that their Jesus has Joel Osteen’s shiny teeth, Rick Warren’s purpose driven life, Kenneth Copeland and Jesse Duplantis’ private jets, Steven Furtick’s $1.7 million dollar home, and he offers all these things to you and more if you would just decree and declare them into existence in his name and tithe 10% of your income to your local megachurch. ≈ Comments Off on Cult Of Hillsong: “Sin Files” on Members & Attendees? Recently Esther Houston posted an Instagram photo of her Christmas tropical party. She thought it was appropriate to post herself posing next to a half-naked tropical Santa. But don’t you think Hillsong’s naked cowboy looks ‘Simila’ to Hillsong’s naked Santa? John MacArthur and the folks from Grace to You (GTY) have done the body of Christ a great service by continually warning Christianity against the growing dangers within the Charismatic movement. One such person who has joined the ranks of GTY is Cameron Buettel, author of Once Upon A Cross | The Bottom Line. Recently, Buettel teamed up with Jeremiah Johnson to do an expose on the dangers of Hillsong worship. However, Justin Peters (of JustinPetersMinistries.org), also weighed in to the important discussion below the article. We wish to acknowledge his comments on Hillsong before you read GTY’s article. Charlatans, charismatics, false teachers, NAR apostles–these people have an ally. His name is Michael Brown. As we’ve reported before, he’s the go-to apologist for modern-day Montanists. He’s defended Word of Faith huckster, Benny Hinn, false teacher Bill Johnson, and many others. We’ve also reported on the gullibility of Michael Brown and the charismatic movement in general. Michael Brown continues to display his gullibility. We recently reported on Carl Lentz’ interview with Oprah on her Supersoul television show, in which the Hillsong, NY pastor was asked if someone had to be a Christian to have a relationship with God, to which he replied, “no.” In short, Lentz gave Oprah a version of Christianity that the new-age universalist found palatable. He was ambiguous, and very carefully worded his comments in such a way that Oprah could find herself in agreement with him. He did not, in any way, lead Oprah or her audience to believe that he believed in the exclusivity of Jesus Christ.